Weekly social group for over-18s who have a diagnosis of an autism spectrum condition and their carers, meeting at The Bear pub in Maidenhead town centre. This event is organised by the Windsor & Maidenhead Autism Partnership Board and will be attended by other local autism support organsiations. Please note, the time of this event is yet to be confirmed. 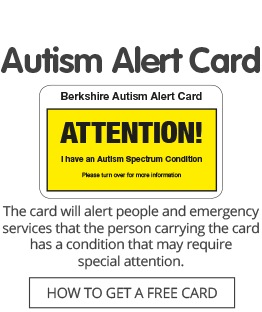 Click here for details of our full programme of events and activities across Berkshire for Autism Awareness Week 2019. Also attending this session is Kerry Furmage, of Kerry’s Sensory Blankets, who makes bespoke weighted blankets and lap pads for people with sensory needs. The drop-in advice service is supported by the Berkshire West NHS Clinical Commissioning Group. This club for children aged eight to 15 with an autism spectrum condition diagnosis, or on the CAMHS waiting list for an autism assessment, and their siblings, meets on the second and fourth Saturdays of each month to play games and enjoy a range of other activities. There is a charge of £5 per child, per meeting. This meeting will take place in The Gallery area at The Curve. For more details of the support group, email contact@autismberkshire.org.uk or call 01189 594 594.